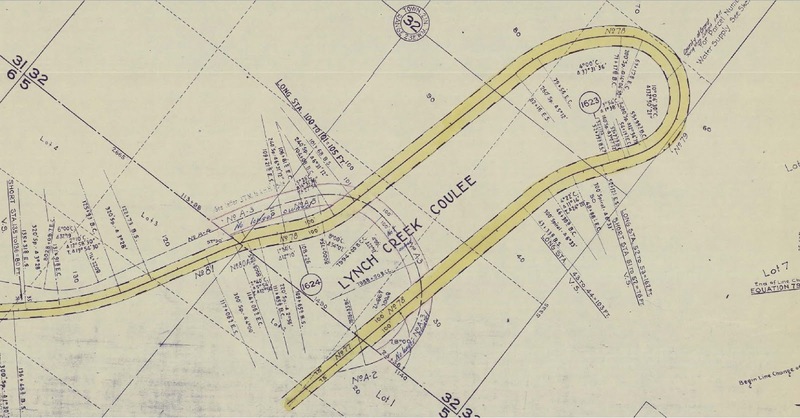 Still looking for my holy grail of Big Bend railroading, a picture of what must have been a very large curved wooden trestle crossing over Lynch Coulee, as the map below shows where it once stood. "Still looking for my holy grail of Big Bend railroading, a picture of what must have been a very large curved wooden trestle crossing over Lynch Coulee, as the map below shows where it once stood." Your image does show where it was located. If you zoom in, one can see where the bents were and the cuts on both sides of the canyon.